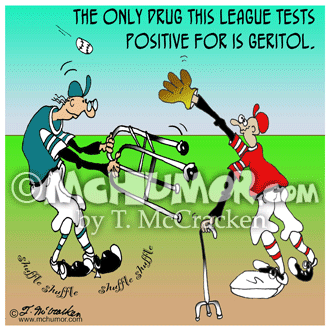 Baseball Cartoon 5385: "A man with a two-foot long nose running to base while the baseman tries to catch a ball. 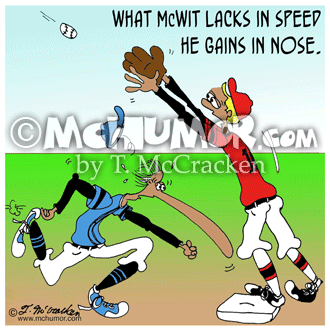 "What McWit lacks in speed he gains in nose. 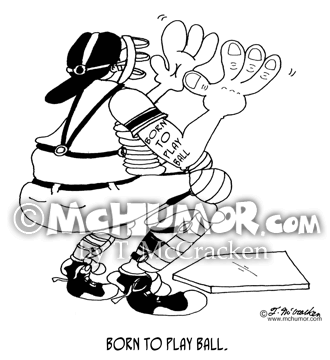 Baseball Cartoon 5383: A catcher with HUGE hands has a tattoo, "Born to play baseball." 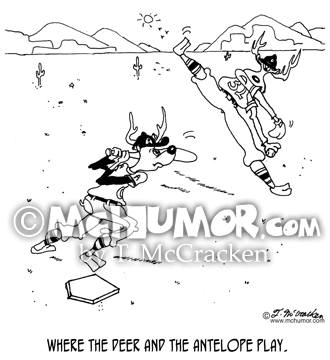 Baseball Cartoon 5387: "Where the Deer and the Antelope Play." 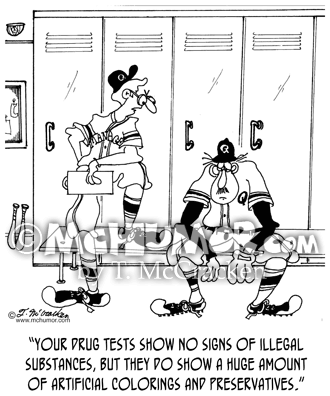 Animals play baseball. 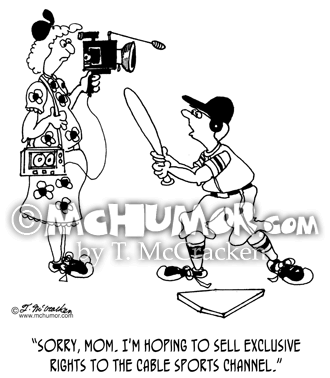 Baseball Cartoon 5597: A kid objecting to his mother taking video pictures at his softball, "Sorry, Mom, I'm hoping to sell exclusive rights to the cable sports channel." 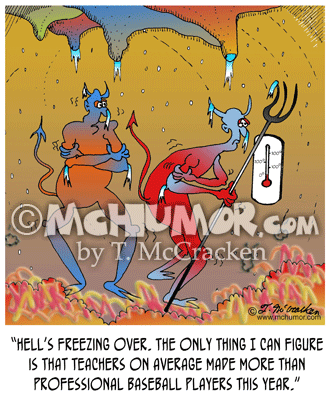 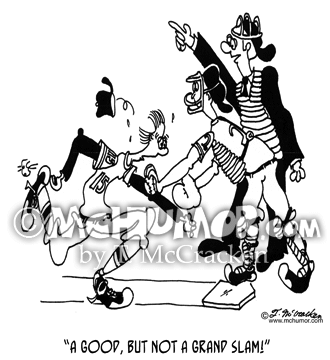 Baseball Cartoon 8306: As a catcher tags a man running in the umpire calls, "A good, but not a grand slam!" 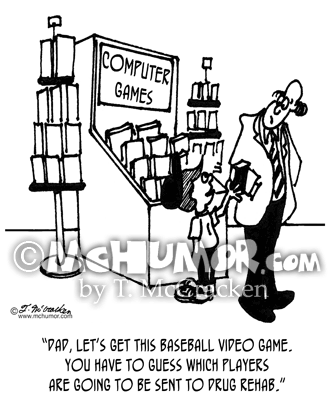 Baseball Cartoon 8285: "What the Babe was really pointing at." 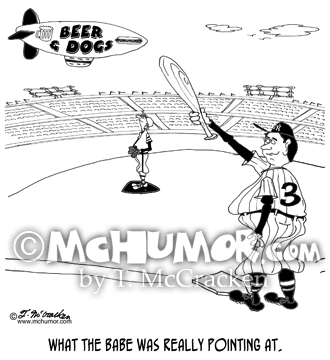 Babe Ruth's at the plate aims his bat at a blimp advertising beer and hot dogs over the outfield.